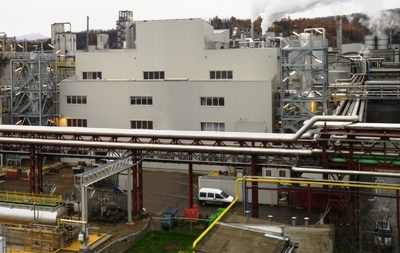 Reverdia, the joint venture between life sciences and materials sciences company DSM and Roquette Frères, a global producer of starch and starch-derivatives, has begun operations in Cassano Spinola, Italy, at a commercial-scale plant producing Biosuccinium™ sustainable succinic acid. The plant, which has a capacity of about 10,000 tonnes/yr, is unique in its kind, being the world’s first dedicated large-scale plant for the production of succinic acid from renewable resources. It is also the only commercial facility to benefit from experience gained using low-pH yeast technology on a demonstration plant scale; Reverdia regards this as essential to be able to promise further improvements in product quality. Reverdia is dedicated to be the global leader in the market for sustainable succinic acid, focusing on market development by establishing partnerships with direct and indirect customers, building on customer needs and Reverdia strengths. Combining the knowledge and experience of DSM and Roquette, Reverdia produces and sells Biosuccinium™, the Company’s registered brand of bio based succinic acid. Biosuccinium™, which is produced using a unique and proprietary low pH yeast technology, enables customers to produce bio-based, high-quality performance materials while at the same time substantially improving their environmental footprint. More information can be found at www.reverdia.com.